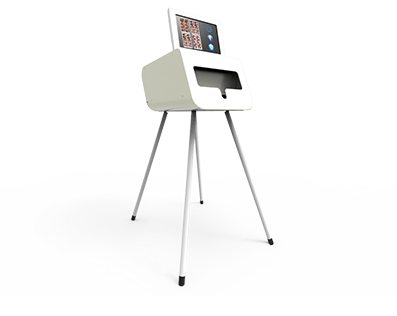 Enjoy the ultimate photobooth experience with Fiesta’s Traditional Photobooth. 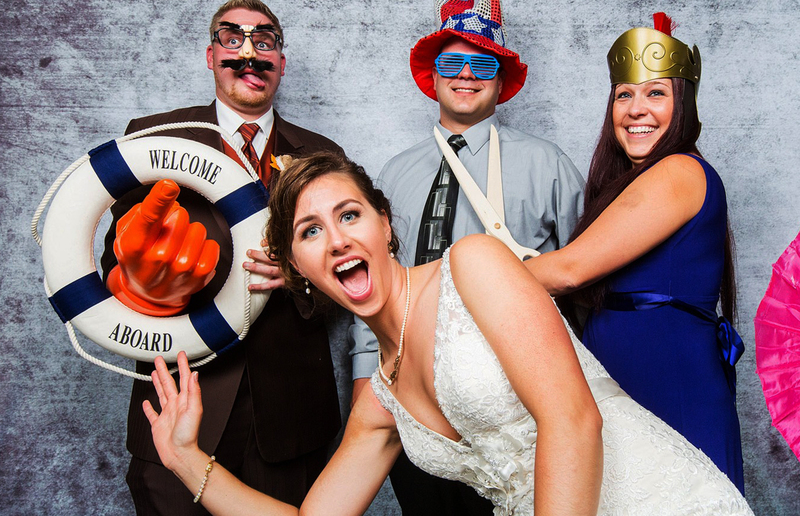 Equipped with the latest technology and quality photos, we are sure to bring the fun to all occasions. 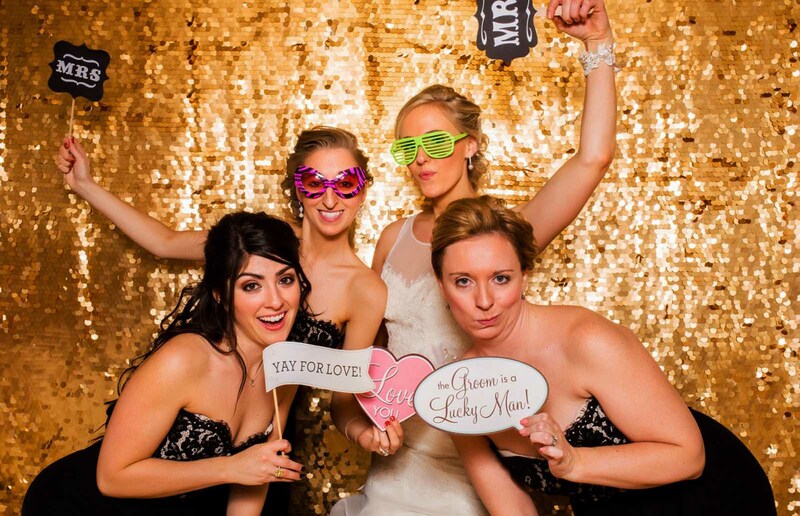 Green screen and video features are options that will bring that extra fun and WOW-factor to the event. 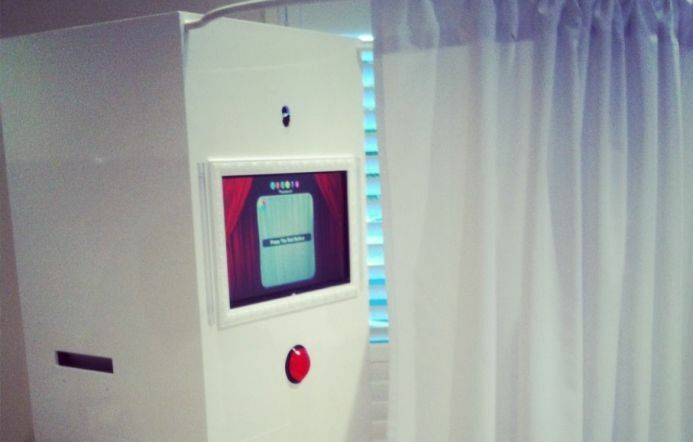 The elegant, white curtain photobooth is ideal for all occasions. 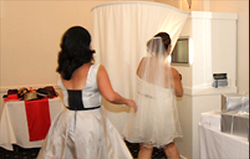 Confined venues are no problem as the curtain booth takes up limited space. 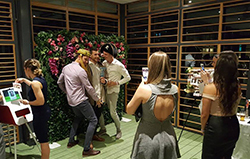 It’s an enclosed booth but with a swift opening of the curtain it becomes free standing allowing large group photos to be taken. Great fun capturing memorable moments. 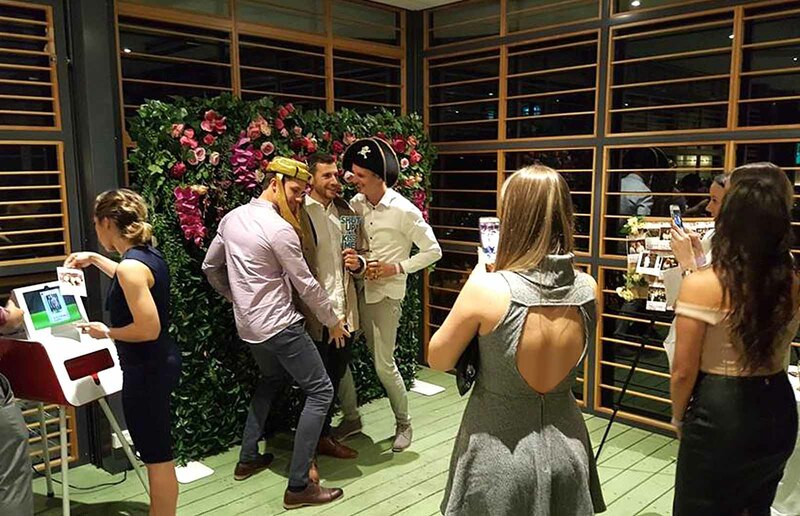 Let the silliness and fun shine openly for all to see with our open air booths. There is no party like a party where you can laugh at eachother and capture those moments of spontaneity. Our open photobooths come with a variety of back drops to choose from to suit any theme or occasion. 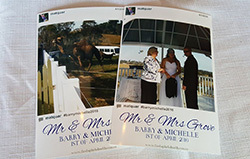 ‘Hashtag and Print’ is the new and unique service that allows you and your guests to print photos taken on your smart phones. Every event deserves a hashtag! 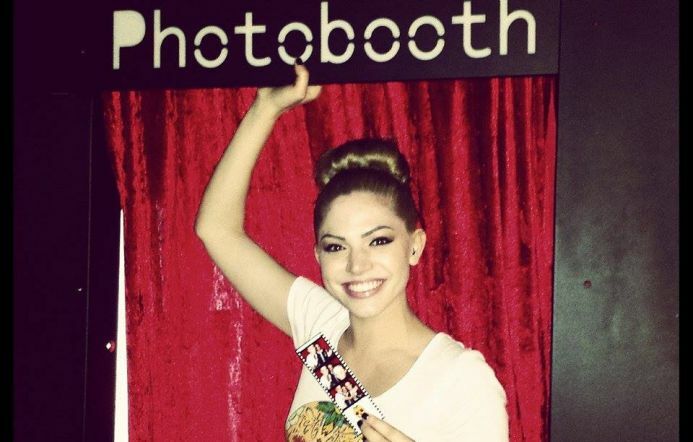 Fiesta Photobooth is equipped with Green Screen Technology. Having a Hawaiian themed party? Take photos at the beach, overlooking the ocean or on a boat. 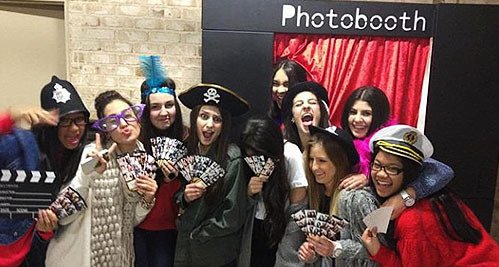 When you’re hosting an event, it is essential that you organise fun, party entertainment. 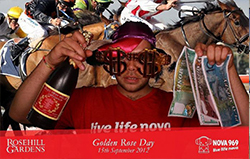 Entertainment can complement the theme of your party and engage your guests. 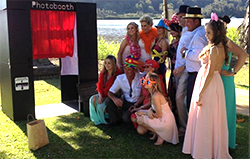 Whether, you’re throwing a wedding or corporate function, photo booth hire provides the perfect entertainment solution. 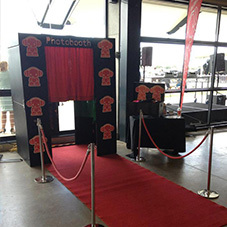 Fun, unique and versatile, a photo booth will make any event a memorable experience. 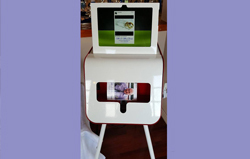 Photo booths appeal to guests of all ages and provide fun on many different levels. 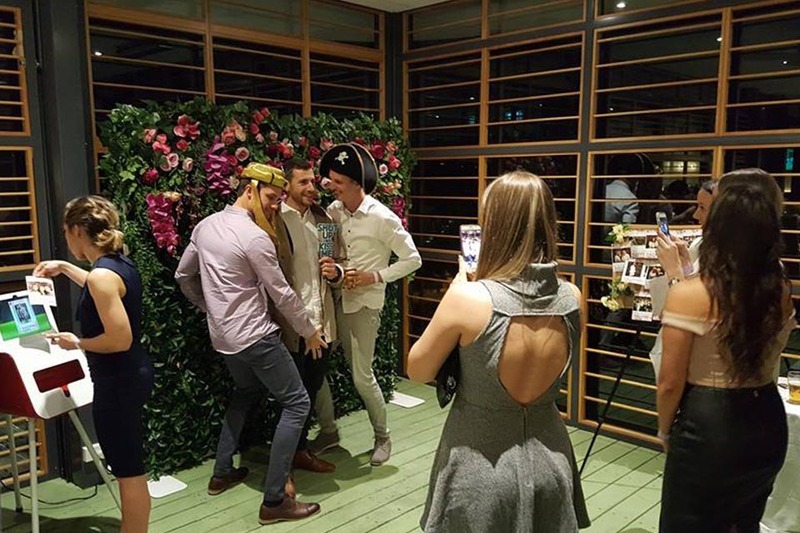 Children simply love dressing up and pulling silly faces for the camera, while teenagers also enjoy taking photos with friends and sharing their experiences on social media sites. 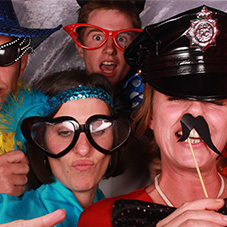 Even adults, can’t resist striking hilarious poses with other guests. 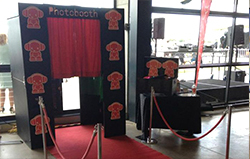 When it comes to fun for all ages and events, a photo booth is the perfect party entertainment solution. 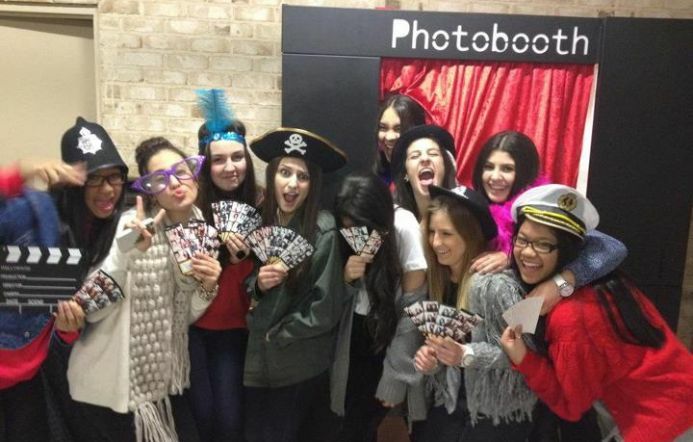 Why choose Fiesta photo booths? 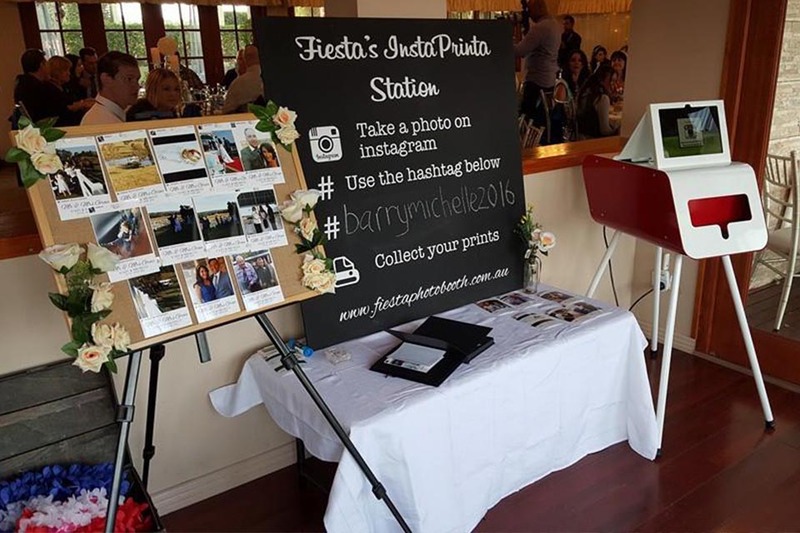 There are many photo booth hire companies in Sydney that provide inflexible and overpriced services. When selecting a provider for your event it is important to compare prices, experience and customisable options. 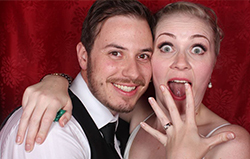 Fiesta is the number one choice for versatile, affordable and high quality photo booth hire. 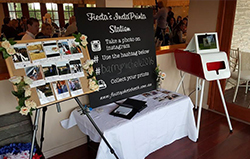 Fiesta Photobooths has serviced just over 100 weddings, each wedding unique and special. We cater to all types of parties, birthdays, engagements, baptisms, Bar Mitxvah’s and Formals just to name a few. 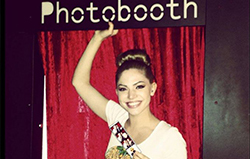 Brand our photobooths and photos with your business or event logos. Use the custom Hashtag for the event when uploading a photo and print away! 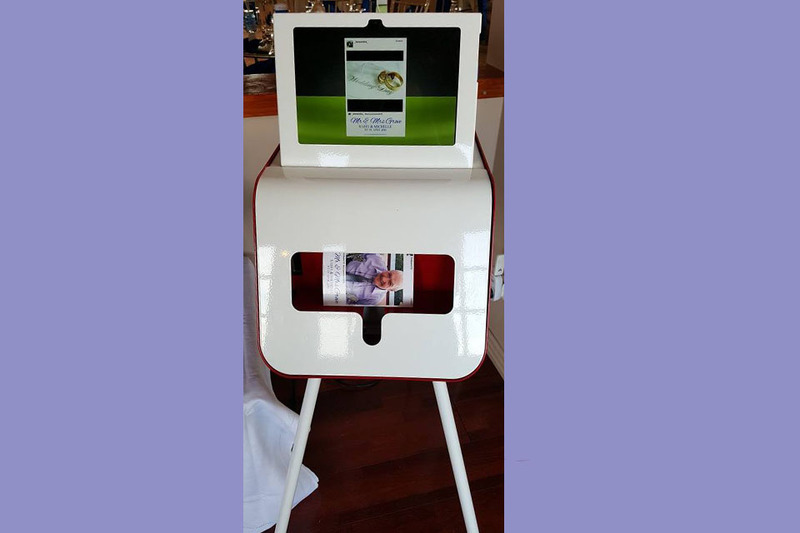 Great for marketing in Corporate events, or capturing photos from each guests experience. 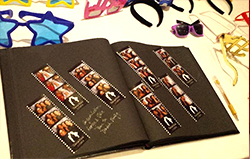 Black Leather Photo album/ guest book - your guest has the option to paste a copy of the photo strip into the album and write a message with the silver and gold pens provided (booth attendant will assist with putting this together). Video Booth - This is an option with the Traditional photo booth; Your guests have the option to record a 15 second video. This will all be saved onto the usb. 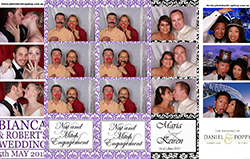 Green Screen Feature - Custom backgrounds for the photos taken in the photo booths. USB/CD - Of all photos taken on the night. 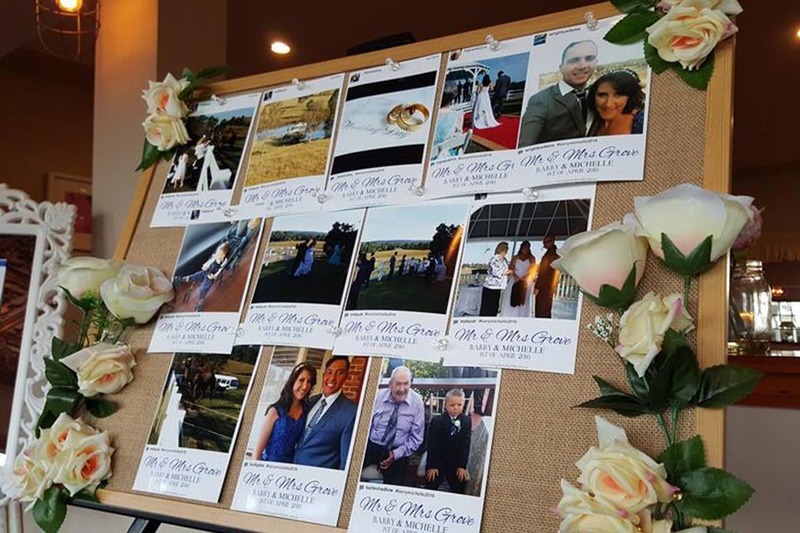 Frames - Say thank you to your guests with a gorgeous photostrip frame; from as little as $2.00 ea we can provide you with gorgeous bonbonneirs your guests will definately not throw out in time!. 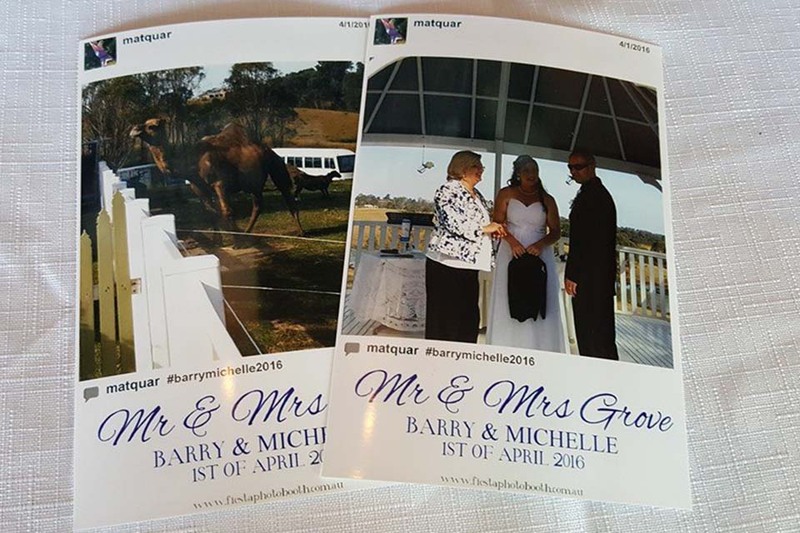 3, 4 5+ Hours hire available Unlimited prints of Instagram/twitter photos with the personalised hashtag provided for the event. 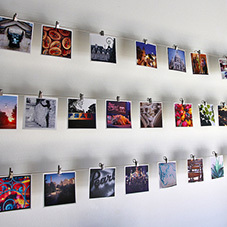 Printer station set up at reception will be beautifully displayed, decorated and photos displayed accordingly. 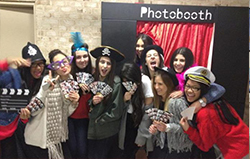 I found Fiesta Photo booth through Google last week for a 21st b day party which was held last night. 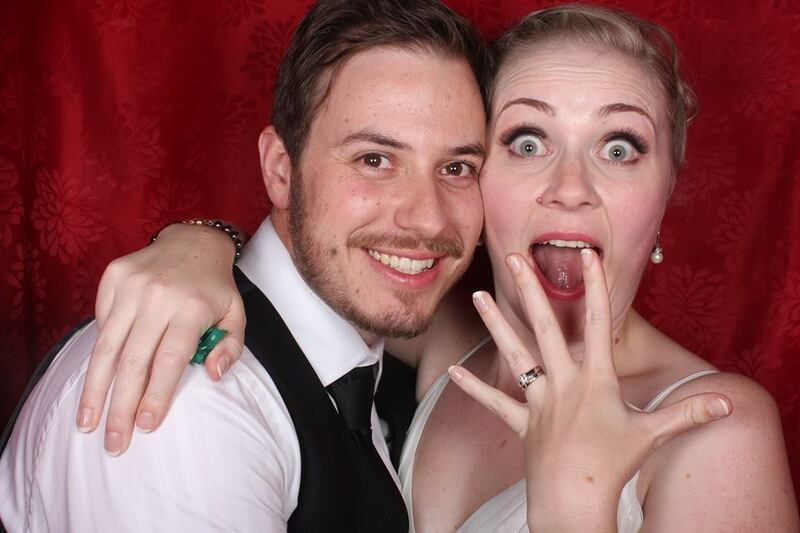 In the 1 week that I had to find and organise a photobooth, Leesandra made it all smooth sailing from beginning til the end of the event. 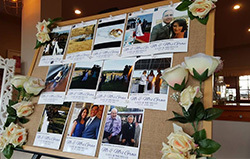 Her professionalism with handling everything from the different packages offered to designing a whole new photo strip to match with the theme of the party was impeccable. Thank you so much Leesandra. You made it so easy and stress free for such a last minute booking. 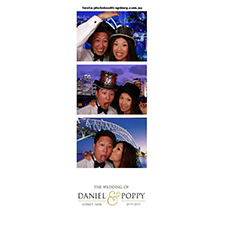 The guests enjoyed the photo booth that there was a long queue throughout the 3 hours we booked it for. Can't wait to see all the pics to be posted on fb as evidence of how much fun it was. We will definitely be back for future bookings and will be highly recommending you to all our family and friends. Amazing service! It made our family function so much more special. Definitely a must have at our family functions again in the future! My experience using you guys was fantastic from beginning to end! 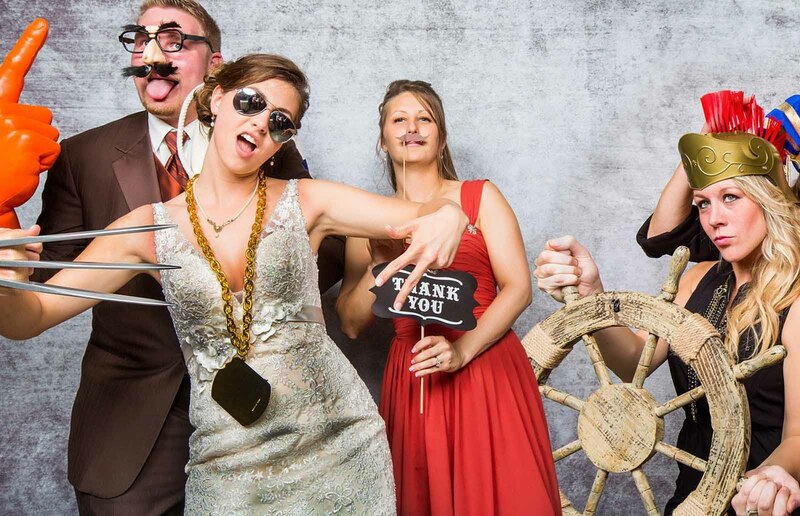 It was very last minute hiring a photo booth for my 30th and you guys were more than happy to help us! The props were fun, the quality was great, the service from the attendant was fantastic and the album I received at the end of the night was the icing on the cake. Thank you so much for making our experience a great one. 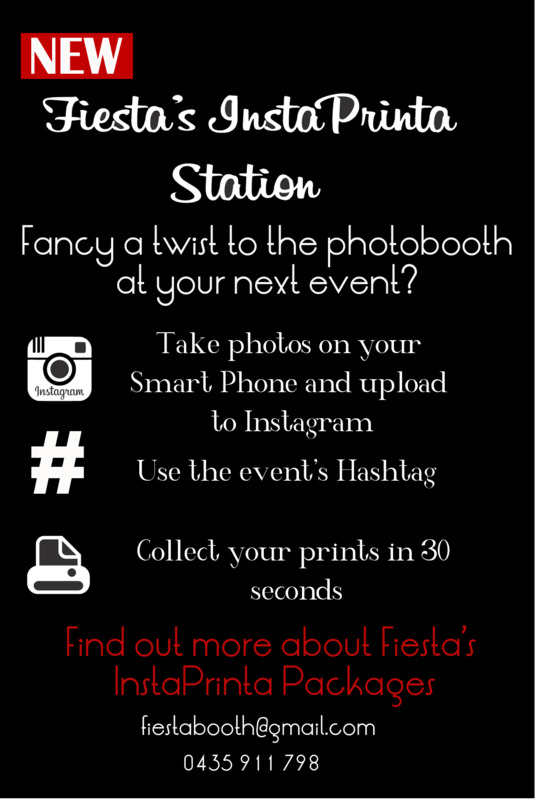 Thanks leesandra at fiesta photobooths for a great night of fun for young and old everyone had a blasts with lots of laughs really appreciate the great friendly service will definitely recommend you to others. Thank you so much guys. 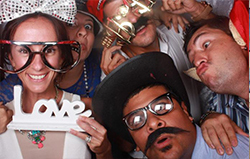 All my guests and I had such a blast In your photo booth ! One of my favorite parts of the night! 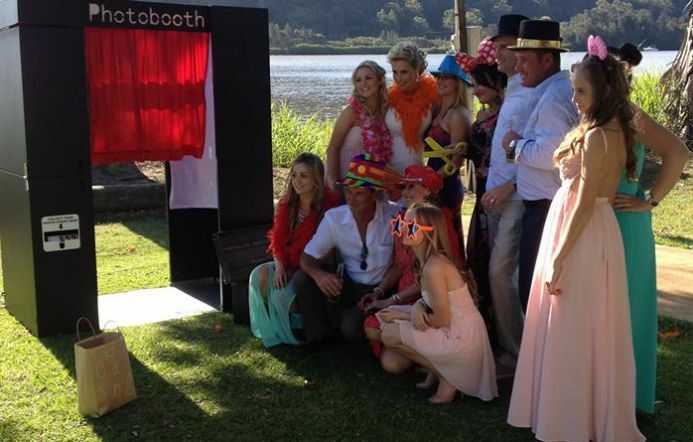 Fiesta photobooth were at our wedding on the weekend and were absolutely fantastic. Leesandra was our hostest and she was fantastic. Always had a smile and encouraged people to have a go. 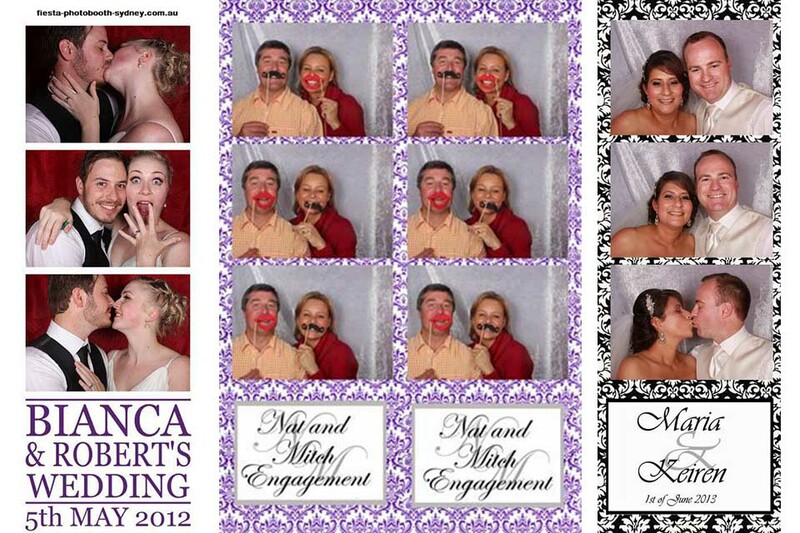 I would recommend Fiesta Photobooth to everybody. Fiesta photobooth is amazing! The quality and the service is unbelievable and it's so much fun! Your guest will be entertained for hours on end, whilst making a lot of good memory's.